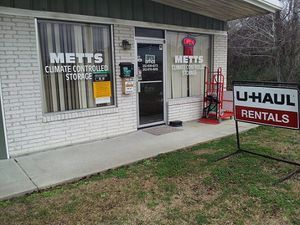 At MCCS, we are focused on providing Climate Controlled Storage, Uhaul Equpiment Rental and Sales with the highest levels of customer satisfaction – we will do everything we can to meet your expectations. We have been a local Uhaul Dealer for 10 years and have experienced and well trained employees to help you with any moving question that you may have. Click the button above to reserve a Uhaul Truck or Trailer as well as buy boxes from our location. We look forward to assit in your move. We are a small family owned long standing business in our historic town. We treat each and every customer like they are a member of our own family and offer premier, up to date and clean facility to store your valuables. We offer seven different size units to ensure we have the best match for your needs.